SUNNYVALE, CA – June 2, 2015 – Ruckus Wireless, Inc. (NYSE: RKUS) today unveiled a major expansion of its award-winning SPoT™ location-based service (LBS). The expanded Ruckus LBS solution lets service providers and enterprises improve the ROI and monetization of their wireless infrastructure. Organizations can now actively engage with customers through value-added business services tailored for the user online experience. As part of the expanded Ruckus LBS solution, Ruckus ZoneFlex APs will be capable of serving as a two-way distributed management and asset and security monitoring platform for BLE beacons. The new Ruckus ZoneFlex R710 indoor access point and ZoneFlex H500 Wall Switchnow support Gimbal as well as iBeacon technology with Ruckus SmartZone and ZoneDirector controllers. A robust LBS ecosystem program provides third party mobile and analytics application developers with an open API set for the delivery of comprehensive, accurate location information. This enables the development of value-added services for better customer insights and enhanced user engagement. Ecosystem program participants include: Aislelabs(personalized, real time in-store marketing); Purple WiFi (WiFi hotspot log-in via Facebook, Google+, Twitter); SkyFii from (Integrated analysis) to (guest WiFi, integrated/advanced analytics, real-time targeted content delivery); and RaGaPa (WiFi monetization and targeted messaging). Available now worldwide, Ruckus SPoT Point is a subscription-based service that can be purchased on either a one, three or five year basis for $25 (USD) per Ruckus access point per month. Ruckus SPoT Presence is scheduled to be available by July 2015, with a lower price point to meet the needs of smaller stores and outdoor deployments. Ruckus virtual SPoT location-based service is available now for a one-time fee of $995 for the per-instance license and $100 per Ruckus ZoneFlex access point. For more information on the Gimbal platform, please visit www.gimbal.com. 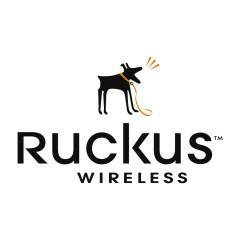 All versions of Ruckus SPoT location-based services are available from authorized Ruckus BiG DOGs channel partners. Stay Fully Charged Wherever You Go With "Toreto Auto Power"